If you have not booked your villa dream vacation in Positano for 2018, you might be disappointed. This destination keeps out performing each season. Just when we thought you needed to book 12 months in advance, 2018 is mostly sold out and you now need to be considering 2019, even 2020. Peak season runs May through mid-October, where other parts of Italy you will find lower rates typically September through May. Please consider joining us in April 2019, when we roll out all of the bells and whistles with our All-Inclusive Villa Tour offering you a turn key & hassle free vacation. 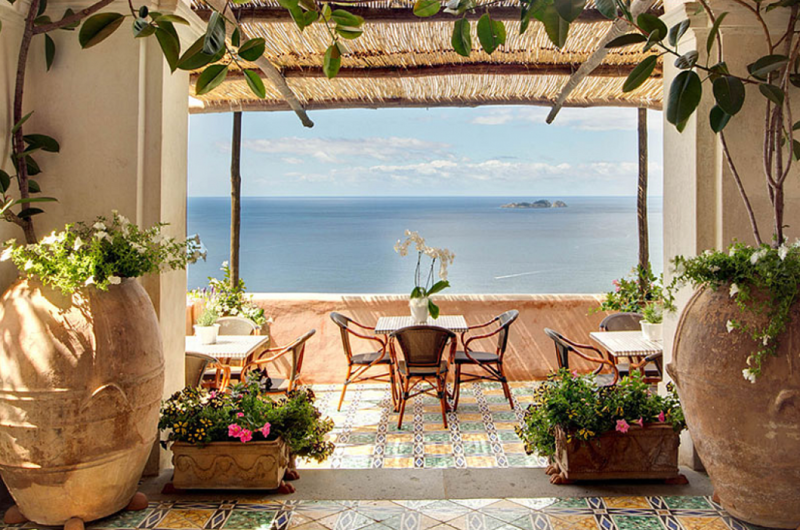 We give you the option to book as a double and join our group of 14 guests with this breathtaking view in the most famous villa atop Positano. For one week, you will be transported to your multi-million dollar villa, a more affordable vacation than you could do on your own. We also offer customization for groups of 8, or more. We create the experience you are dreaming of, from your private chef, wines, spirits, tours, transfers, tips and taxes etc. You then arrive having everything arranged and only need to enjoy your vacation; never tallying the cash register for what you want to do, worry about paying cash upon arrival, or finding tours are sold out, or a multitude of other challenges. RENTAL CARS & PARKING is Near to Impossible on the Amalfi Coast; another reason having us arrange your tours with private drivers for you or your group is vital to having a stress free vacation.